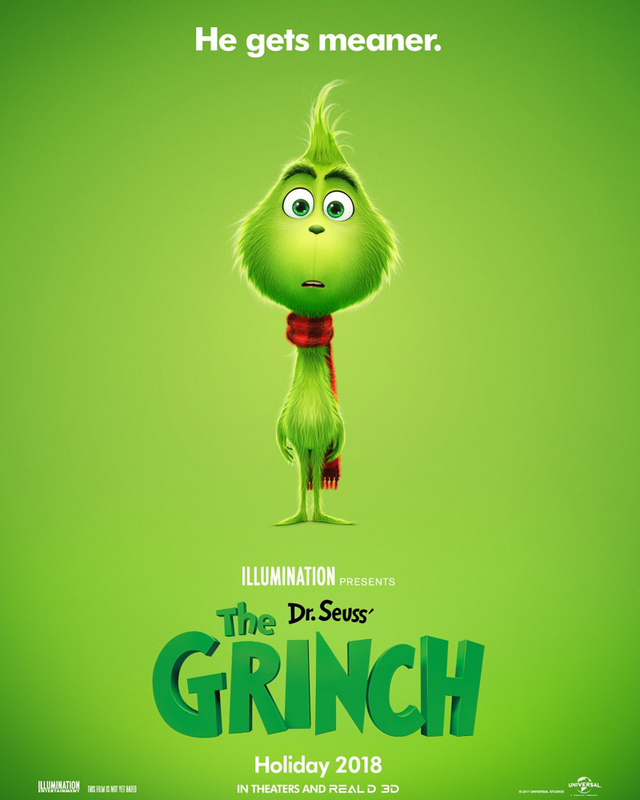 The first poster for The Grinch (formally titled How the Grinch Stole Christmas is now online, and it reveals a much cuter version of the character than we are accustomed to seeing. The anticipated release opens everywhere November 9th, 2918. The Grinch tells the story of a cynical grump who goes on a mission to steal Christmas, only to have his heart changed by a young girl’s generous holiday spirit. Funny, heartwarming and visually stunning, it’s a universal story about the spirit of Christmas and the indomitable power of optimism. Academy Award nominee Benedict Cumberbatch (The Imitation Game, Doctor Strange) lends his voice to the infamous Grinch, who lives a solitary life inside a cave on Mt. Crumpet with only his loyal dog, Max, for company. With a cave rigged with inventions and contraptions for his day-to-day needs, the Grinch only sees his neighbors in Who-ville when he runs out of food. Directed by Pete Candeland and Yarrow Cheney, and co-directed by Matthew O’Callaghan, Dr. Seuss’ The Grinch is adapted from Seuss’ book by Michael LeSieur. It is produced by Illumination’s Chris Meledandri, Janet Healy and Scott Mosier, and executive produced by Audrey Geisel and Chris Renaud.